Quench your thirst in the City of Fountains! 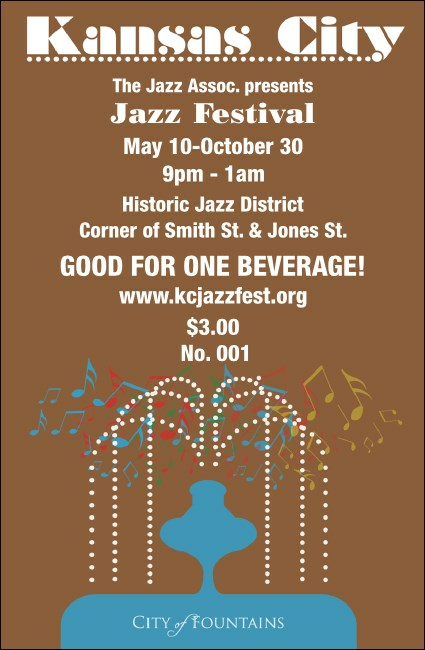 When it gets hot, the Kansas City Drink Ticket, part of the matching Kansas City Event Kit, keeps you cool! A burst of light in blue and brown to create a drink ticket that keeps the well drinks flowing. Coast to coast and around the world, TicketPrinting.com has Event Kits for your home town.